1What do you know about Amber? What do you know about Amber? Amber has the color like the sun. During the day of direct light is yellow and orange in the evening. This is one of the first stones used by the most ancient civilizations in Asia, Africa and Europe for amulets and decorations. 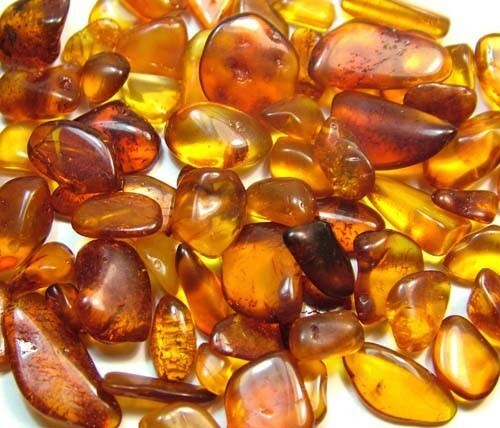 The two main sources of amber today are the Baltic states and the Dominican Republic. 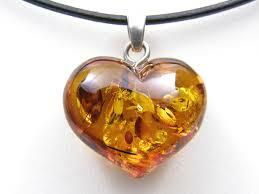 The Amber from the Baltic states is older and is therefore preferred by most traders. This from the Dominican Republic is often contaminated with insects. Amber prices range from $ 20 to $ 40,000 or more. Solar energy can cure you from diseases or free you from the negative emotional energy. For this reason, some say Amber brings good luck. Stone of Gemini and Lion , its golden color symbolizes success. Chakra classification- Amber brings healing, soothing and harmonizing. Turns intellect into a spiritual path. Cleans the solar plexus chakra and the navel chakra. Different colors of amber can open and clean various chakras. Mohs hardness 2.5 with amorphous structure of the crystal. It is known that amber is fossilized resin of trees. Most have a golden yellow or golden orange color, but are also found those with red, green, violet and black. It is usually transparent or translucent irregular shape and surface cracking. Sometimes it is possible to contain insects that are entangled millions of years ago, when the resin was still sticky. In very rare cases have been found even lizards and frogs. Amber is one of the few gems that can be charged with electricity. When you rub amber produces negative electric charge. Because amber unlike other gems is pleasant to the touch and often contain insects, it was thought that he himself is a living thing. Bill with sacred to pilgrims of Mother Goddess and it was believed to contain the essence of life itself. Amber is a fossil and therefore is associated with time, cycles and longevity. As it was previously being associated with “Akasha”. This is usually skipped “fifth element”, which brings together and manages the air, tossed, fire and water. “Akasha” is a symbol of life and living beings, including humans. All these mysterious properties of amber makes it one of the most used and valued magical substances through the ages all over the ground. Yellow, golden and orange amber has the ability to makeover its wearer. It carries more success, abundance, healing, vitality and joy. Amber brings the energy of patience, romance and sensuality. It is believed that the wearer will have a successful marriage. Amber is used to treat the physical body. Of the more than 7000 years it has been used to stimulate the metabolism and the treatment of skin disorders caused by metabolic imbalance. Because of its heat is used in the treatment of asthma and allergic respiratory problems. Wearing amber necklace is the most effective for these diseases. Amber carries a negative electric charge. It brings comfort and energy that is both soothing and energizing. Helps to increase intellectual capabilities and gaining wisdom. Removes negative energy and physical pain.